Not all presses are made equal. PEMSERTER provides class leading cycle times and efficiency meaning that customers using Pemserter equipment finish a work batch in much less time than with any other make of press. 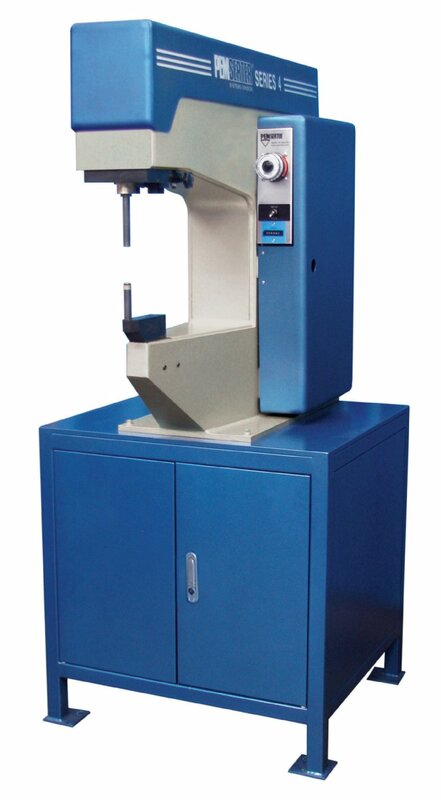 Despite all expectations of equipment of this quality PEMSERTER presses are extremely competitive to purchase. At Zygology we have demonstration presses which you can use on your premises to prove the Pemserter advantage for yourself. Fastener installation equipment pioneered by Penn Engineering can deliver a competitive edge. No matter how demanding the job PEMSERTER can provide proven solutions. Call us today for a demonstration and quote. The PEMSERTER® QX4 Turret Tool System provides an efficient method to quickly change between four different anvil tools. The PEMSERTER Series 4® press is designed to install self-clinching fasteners in size M2 / through M10 / 3/8" into steel, and sizes up to M12 / 1/2" into aluminum or plastics.